A breathtaking collection of reflections from one of the world's best loved storytellers, Paulo Coelho. In this riveting collection of thoughts and stories, Paulo Coelho, the author of `The Alchemist', offers his personal reflections on a wide range of subjects from archery and music to elegance, traveling and the nature of good and evil. An old woman explains to her grandson how a mere pencil can show him the path to happiness...instructions on how to climb a mountain reveal the secret to making your dreams a reality...the story of Ghengis Khan and the Falcon that teaches about the folly of anger - and the art of friendship...a pianist who performs an example in fulfilling your destiny...the author learns three important lessons when he goes to the rescue of a man in the street - Paulo shows us how life has lessons for us in the greatest, smallest and most unusual of experiences. 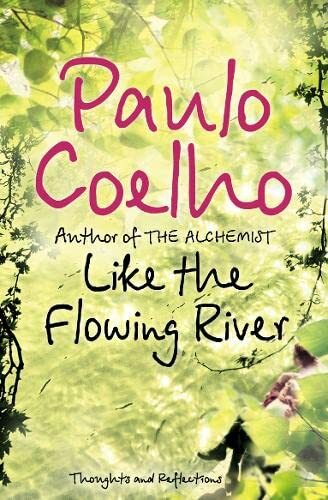 `Like the Flowing River' includes jewel-like fables, packed with meaning and retold in Coelho's inimitable style. Sharing his thoughts on spirituality, life and ethics, Paulo touches you with his philosophy and invites you to go on an exciting journey of your own.